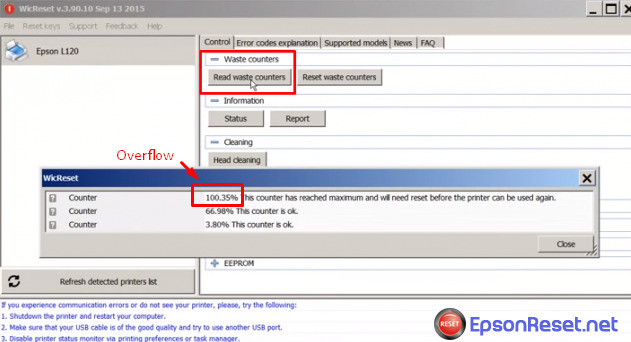 When Epson XP-30 ink pad counter is overflow your epson printer will stopped working and the red light will alternate blinking, on the LCD screen (if your printer has one) or computer show windows error: The Printer’s Ink Pads at the end of Their service life. Please contact Epson Support. You only need spend a little time to reset Epson XP-30 printer, Epson XP-30 printer will works again! 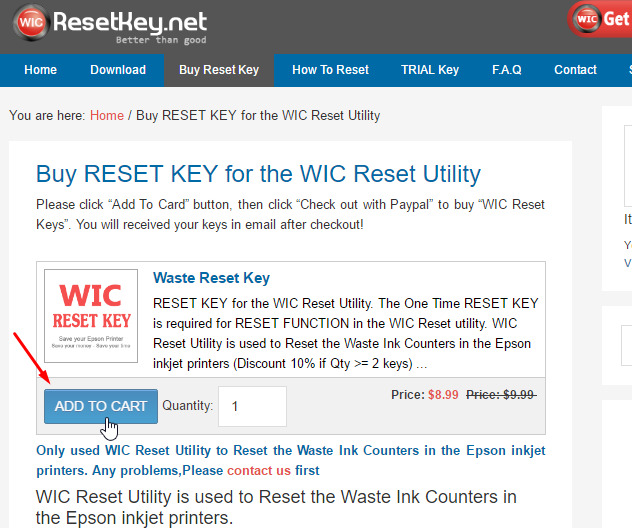 Product name: WIC Reset Utility – Epson XP-30 resetter. 2. 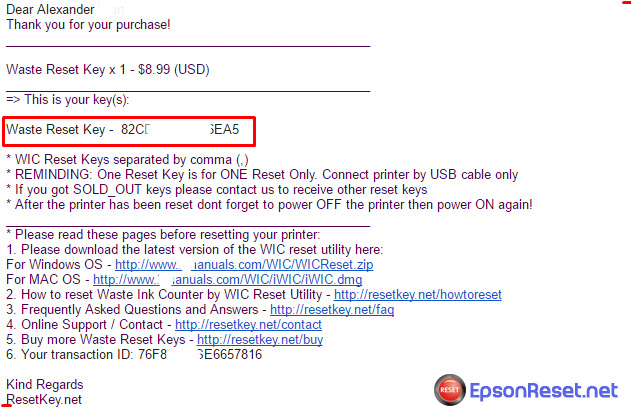 Pay by PayPal or Credit Card and get Reset Key for Epson XP-30 printer in email message. Now switching OFF Epson XP-30 printer and restart Epson XP-30 printer and print test. 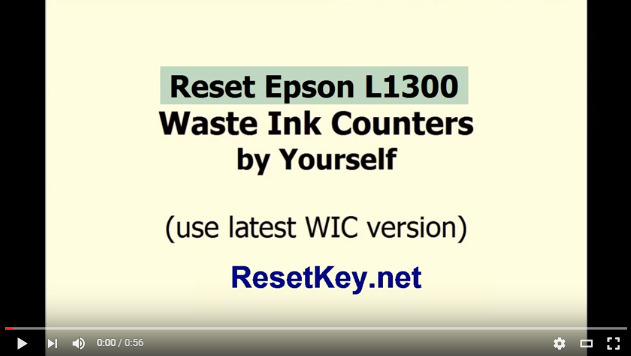 WIC Reset Utility is Epson XP-30 resetter tool, you can free check the current value of waste ink counters and ink level counters, then reset Waste Ink Counters to save your Epson XP-30 printer and save your money. 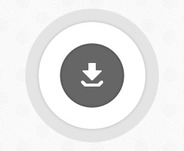 You will need spend about $45 – $60 if you take your Epson XP-30 printer to service center.